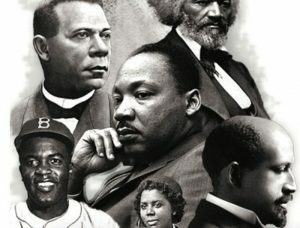 February was Black History Month, but black history is American history and should be accessible and taught year round. If an alien from Mars were to visit, he or she — by seeing reports about black people, with our poor health statistics, percentage of black males behind prison bars, blacks belonging to roving and rival urban gangs and instances of sin-gle parenthood — would think us not a strong race of people. That alien would have no clue of history. Sadly, many blacks are just as clueless and for most whites it’s a history they would rather not know. The alien wouldn’t realize, that until recently, this country’s motto of “freedom and justice for all” — from very its founding — didn’t include African Americans. What the alien wouldn’t know is that without the labor and sweat of the black brow, the America of today would not exist. And while blacks were busy creating a country out of nothing, they were excluded from sharing in its wealth — by law in most cases — and relegated to the most menial positions well into the 20th century. If the alien knew a little history he might ask the question, “Didn’t the Civil War settle all of that?” The answer would astonish him. After federal troops left the South to its own devices, states and even cities began implementing what became known as Jim Crow laws. Many were just a ridiculous set of rules meant to keep African Americans in their place, such as Birmingham, Alabama’s law that prevented blacks and whites from playing checkers together or walking up a flight of stairs at the same time. But other Jim Crow practices were deadly serious. That insult could be something as simple as a look, or not saying sir. The South was so intent on keeping its thumb on black people that whenever an anti-lynching law came before Congress — and there were almost 200 of them — all but three were defeated. Those three passed the House, but not the Senate. There was a time across the South, when a black person was hanged or burned alive every four days from 1889 to 1929, according to the 1933 Arthur F. Raper book,“ The Tragedy of Lynching.” There were, according to the NAACP, 4,743 lynchings in the United States between 1882-1968 and 3,446 of those lynchings were of black people. If the family had not left the South, as approximately 6 to 8 million other blacks did during the Great Migration, Russell would not have been able to attend the University of San Francisco and lead the Dons to two NCAA championships, the first in-tegrated team to win the title. Nor would he have been in a position to be drafted by the Boston Celt-ics and lead that team to 11 championships and finally, to become the first black head coach in the NBA. After hearing just a small tidbit of this history, the alien would climb into his spaceship and head off, shaking his head, wondering how black people had suffered such indignities and survived? He now knew that even with all of the problems and challenges facing the black community in the 21st century, they had more than enough grit to see them through.